Grievances at work are very difficult when you have tried to settle the matter by informal discussion with your manager and have still made no progress. In these circumstances it is most appropriate to write a formal grievance letter. Your employer will have a grievance policy which will explain how to write the letter, who it should be sent to and the general procedure of how it works within the company. After your formal letter is sent, a Grievance hearing (sometimes referred to as Employment Grievance) should be arranged where the issue can be discussed openly. The meeting will be conducted by your employer. You may or may not choose to be accompanied by a colleague or trade union representative. If after the meeting, you are not happy with the outcome of the decision, you have the right to appeal. At Bloomsbury Law, we appreciate the unpleasant nature of grievance claims and we will work with you to ensure that the process runs as smoothly as possible. 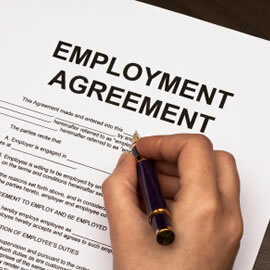 We will advise you are rights and thoroughly discuss your options to come to most suiting solution possible.